Hello, I am Jonas Hellmann. I'm 20 years old and I work at the ALTE OLDENBURGER Krankenversicherung since August 2015. 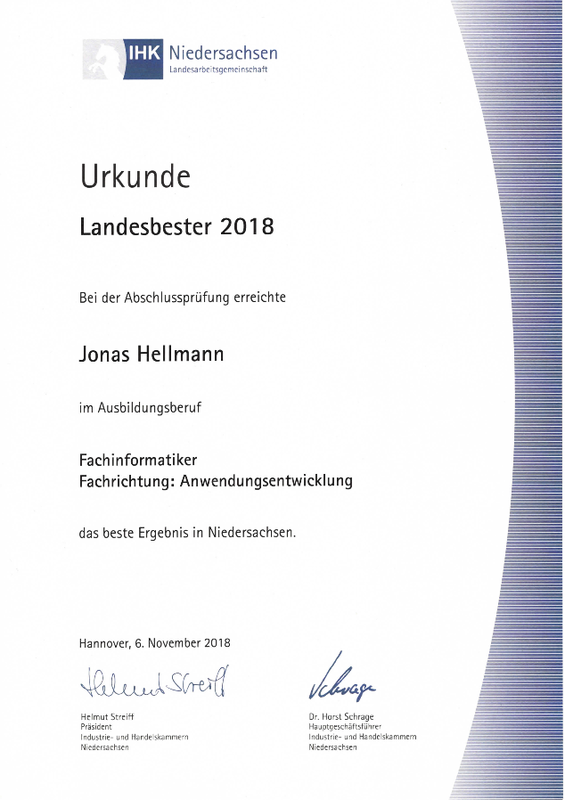 In January 2018 I completed my apprenticeship as an IT specialist for software developemt and got 97/100 points. In my free time I like to do some sports and until the age of 18 I played football in the regional league for my local heritage club SV BW Langförden. About two to three times a week I go for a run and like to be outside. I'm always interested in improving my IT skills and to programming 'experiments' besides my daily work. Using my own virtual server or my Raspberry Pi I like to realize programming projects of all kinds and in many different languages. You can find some of them on Github. In the winter semester 2018/19 I started studying business informatics at the University of Oldenburg. After the Abitur I started an apprenticeship as a IT specialist for software development at the ALTE OLDENBURGER Krankenversicherung AG. In January 2018 I finished the apprenticeship and reached 91 out of 100 points. 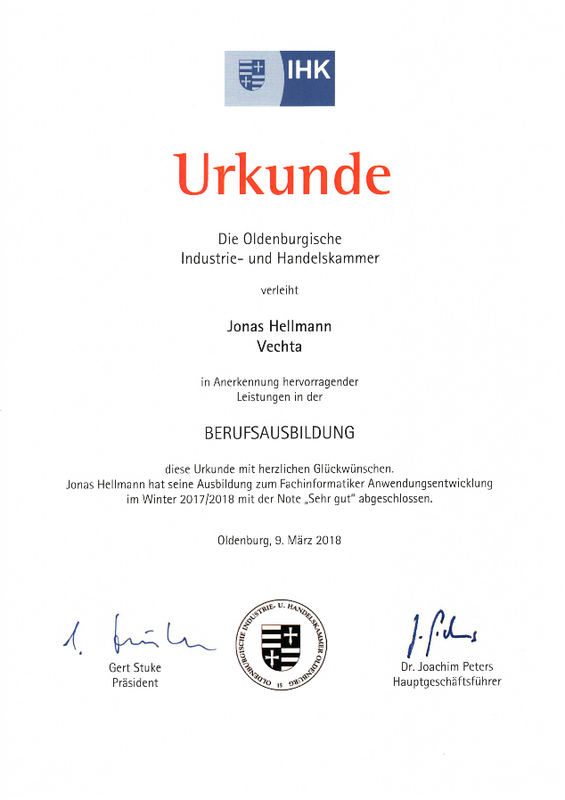 At the Gynasium Antonianum in Vechta I attended 11th and 12th grade and finally completed my Abitur with the focus on Math, Biology and English with a very good grade. I also had an exam in Computer Science. 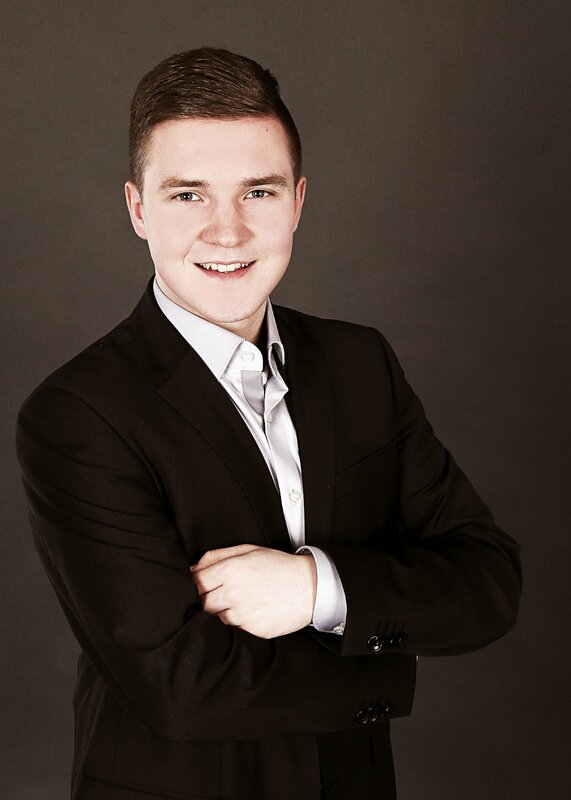 I started working at ALTE OLDENBURGER as apprentice in August 2015. Since then I worked most of the time with the programming languages Java and Natural by the Software AG. With Java EE I gained some experience in web development. During my bachelor studies I only worked full-time during the semester break. In April 2017 while I was an apprentice at ALTE OLDENBURGER I was part of a video by the Software AG. In the video my instructor and I explain how my employee managed the generational change. Also I tell something about myself. Have a look!